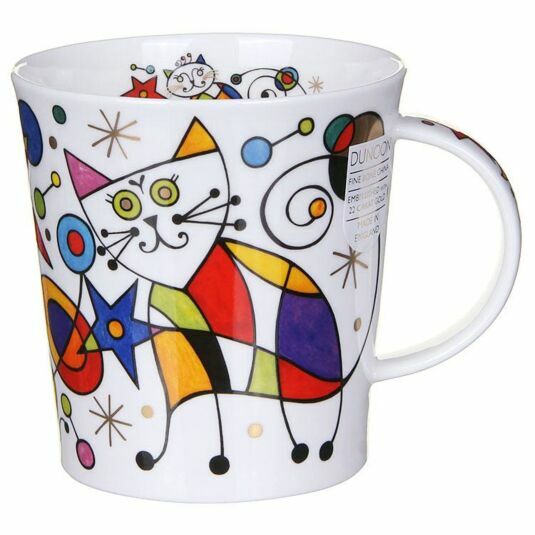 This eye-catching Dunoon mug features a colourful design by Caroline Dadd. Part of the curious cats range, this abstract design features two cats which are surrounded by stars and gold leaf detailing. 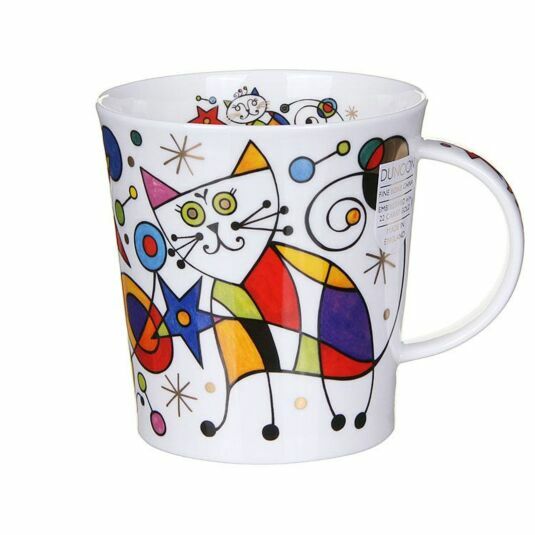 This gorgeous mug will stand out in your kitchen and appeal to anyone with a love for cats. This mug is beautifully embellished with 22 carat gold adding an extra special touch and making it a great gift. This does however mean that it is not safe for the microwave. The elegant simplicity of the Lomond shape is the canvas for some of the boldest patterns and brightest designs Dunoon have ever launched. As with the Glencoe or Jura shapes, Dunoon have once again chosen to name a range after a quiet Scottish idyll, this time drawing inspiration from the beautiful Scottish loch renowned for its “bonnie bonnie banks”. With a capacity of 320ml they are both dishwasher and microwave safe, with the exception of those featuring gold embellishment.